Central Valley Youth Soccer League is a community-based organization dedicated to providing a safe, fun, & positive environment to help our children build their character and life skills through soccer. Central Santa Clara Valley Youth Soccer League is a non-profit 501(c)(3) organization established in 1983 to provide an opportunity for San Jose’s youth to play the wonderful game of soccer. Today, we support ~4,000 children playing soccer annually. We primarliy serve the Cambrian, Willow Glen, & Rose Garden neighborhoods of San Jose, plus a section of Campbell. However our programs are open for players from any of of our neighboring cities! Most know us as the Central Valley Youth Soccer League (CVYSL). When the 3-time National Champion Central Valley Mercury girls were featured on the box of Team Cheerios, it said they came from Central Valley, CA, but they and we are really located in San Jose, CA. CVYSL is part of California Youth Soccer Association North (CYSA-N) District II. CYSA-N is part of a much larger organization called US Youth Soccer (USYS). US Youth Soccer administers four (4) regions in the United States. 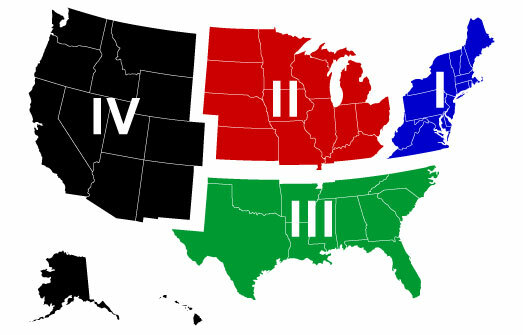 We are part of Region IV (4), since we are located in California. USYS promotes the National Championship Series, where teams compete for their State Cup championship, and then move on to compete for the Regional Championship, and finally the National Championship. State Cup play begins at the under 11 age group, Regional at under 12’s, and National’s at under 14. The US Youth Soccer Olympic Development Program was formed in 1977 to identify a pool of players in each age group from which a National Team will be selected for internationalcompetition; to provide high-level training to benefit and enhance the development of players at all levels; and, through the use of carefully selected and licensed coaches, develop a mechanism for the exchange of ideas and curriculum to improve all levels of coaching. CVYSL’s own Aly Wagner has been on the Women’s National Team since 1998, and has 86 Caps, and 16 goals for the team to date. Three levels of soccer are offered by CVYSL. Select (Division I): Designed for those players who are committed to the greatest advancement and fine-tuning of their technical and tactical skills, as well as playing at one of the highest levels possible. These players compete in traveling leagues and often enter numerous local, state, regional, and national tournaments. The District II playing league is Abronzino. Developmental (Division III): Developmental programs that are designed for those players who have a greater interest in and commitment to advancing their skills. These players compete in leagues that typically involve traveling to areas outside their league of registration and may include participation in a number of tournaments. The Association Cup is a CYSA-N tournament for Division III teams in which District II participates. The District II playing league is Delgado. Recreational (Division IV): The Recreational level involves by far the majority of the players in the league. Each year, players are assigned to teams on which all players must play at least 50% of the time throughout the season. The emphasis is placed on player development and soccer enjoyment. We encourage the use of small-sided games in the youngest age groups to maximize skills development. In addition, we sponsor recreational jamborees and fun days, which feature tournament-style of play. Our Division 1, and 3 teams play fall, and spring soccer, and participate in tournaments year round. Our Division 4 (Recreational) teams only play in Fall. We our a league run by volunteers who love soccer, and are motivated to provide an organized soccer league for our children. We have over 150 volunteer coach’s, twice as many assistant coach’s, and a huge group of really dedicated parents.